After driving around in the city for a few hours yesterday, the coolant started _boiling_ in the expansion tank. It was intensive enough to - apparently - have blown off the expansion tank's cap. The boiling continued for about 15-20 min after shutting off the engine, bubbling out perhaps a litre or so of reddish coolant. 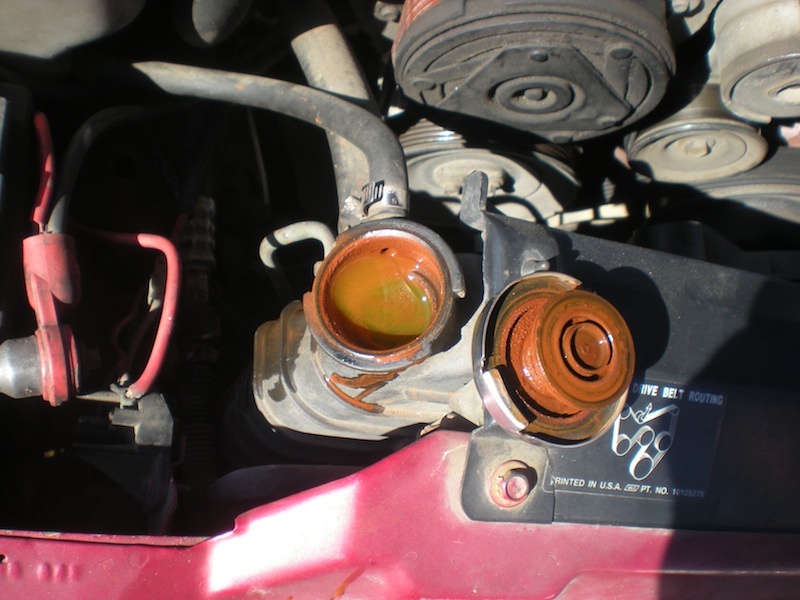 Even though the coolant was supposed to have been changed in April, it still looks like a mixture of Soylent Green and red rust particles.